Our primary mission at Washington Groups a Division of Westside Foods is to work in a unique partnership with out valued customers. Unique because we strive to provide quality kosher products and services that exceed our customers expectations. We maintain the highest level of kosher standards and we are proud to be an Orthodox Union (OU )certified distributor. We want to help you to grow your business profitably and effectively. Washington Group a Division of Westside Foods will work hand in hand with you to develop a distribution framework that best suits your needs. Your satisfaction is our top priority. Washington Group a Division of Westside Foods exemplifies the highest level of integrity through pride in our employees, our suppliers, and our customers. We work continuously and tirelessly to improve all aspects of our business as we provide our customers with a level of professionalism above reproach! Westside Foods roots trace back to its beginnings in 1947 as a small family run business. In the fall of 2004, Jerry Abramson merged his institutional kosher food service distribution business with Westside Foods. Jerry Abramson, an MBA in Hotel Management, a Certified Executive Chef, and a renowned trainer and lecturer for national food service organizations brought over 30 years of management experience in the hotel, catering, restaurant, and institutional foods service industry to this merger. Together they are now one of the largest “full service” kosher distributors in the USA. Today, we have expanded to an 80,000 square foot refrigerated facility in the Hunts Point Coop Market. Our state of the art computerized warehouse management system coupled with our real - time truck tracking and driver communications make us the Metro area's most efficient perishables distributor. 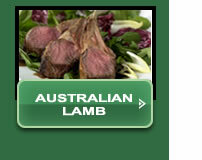 At Washington Group a Division of Westside Foods we constantly update the range of products available to our customers. Customer support, competitive pricing, high quality products, and consistent, reliable service will continue to be the keys to our success. "WE ARE HERE TO WORK FOR YOU"